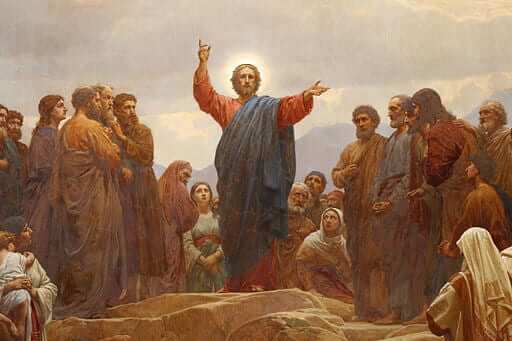 Imagine yourself being a follower of Jesus at the time He was preaching. Imagine that there is much excitement about Him and great hopes that He will be the new King and is the Messiah. There would be much hope and excitement about what is to come. But then, out of the blue, Jesus gives this sermon. He says that His followers will be persecuted and scourged and that this persecution will continue over and over. This must have made His followers stop and seriously question Jesus and wonder if it was worth following Him. The persecution of Christians has been alive and well throughout the ages. It has happened in every time and in every culture. It continues to be alive today. So what do we do with that? How do we respond? Many Christians can fall into the trap of thinking that Christianity is all about simply “getting along.” It’s easy to believe that if we are loving and kind then everyone will also love us. But that’s not what Jesus said. Jesus made it clear that persecution is going to be a part of the Church and that we should not be surprised when this happens to us. We should not be surprised when those within our culture step on us and act maliciously. When this happens it is easy for us to lose faith and to lose heart. We can get discouraged and feel like turning our faith into a hidden life we live. It’s hard to live our faith openly knowing that the culture and world does not like that and won’t accept it. The examples are all around us. All we have to do is read the secular news to be made aware of a growing hostility toward the Christian faith. For that reason, we need to heed Jesus’ words today more than ever. We need to be aware of His warning and have hope in His promise that He will be with us and will give us the words to say when we need it. More than anything, this passage calls us to hope and confidence in our loving God. Reflect, today, on how ready and willing you are to face the hostility of the world. You should not react with similar hostility, rather, you must strive to have courage and strength to endure any and every persecution with the help, strength and wisdom of Christ. Lord, give me strength, courage and wisdom as I live my faith in a world hostile to You. May I respond with love and mercy in the face of harshness and misunderstanding. Jesus, I trust in You.